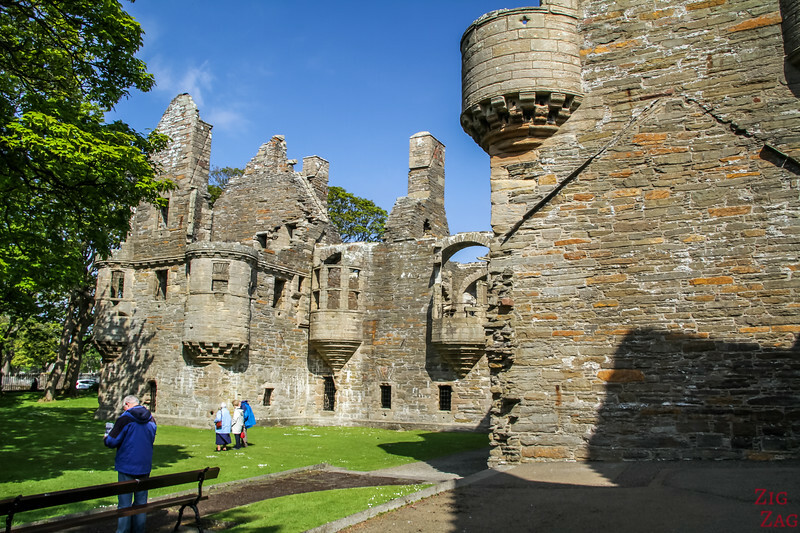 In the heart of Kirkwall are located the ruins of 2 fortified medieval and renaissance residences: the Earl's Palace Kirkwall and the Bishop Palace. 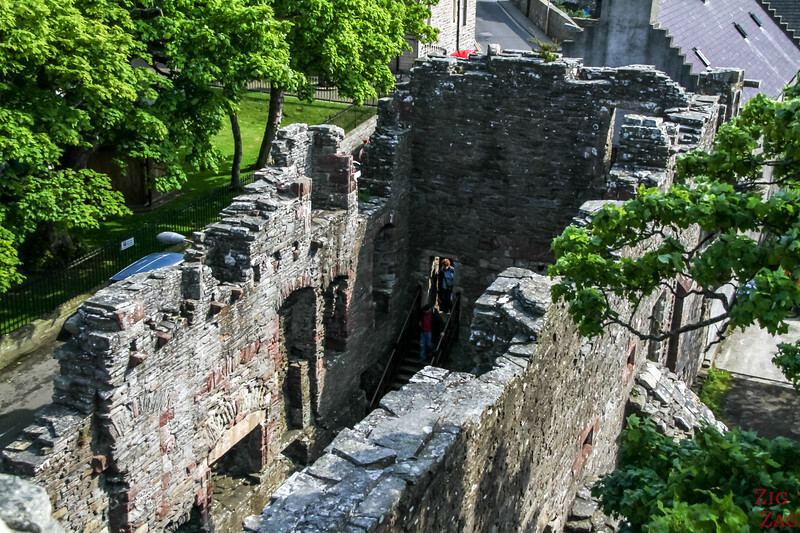 Today you can walk around, imagine the lifestyle and learn about their turbulent history. 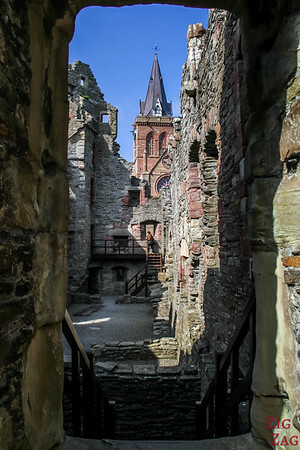 The Earl's Palace Kirkwall and the Bishop palace are what remain of the Orkney's beautiful medieval and renaissance residences. 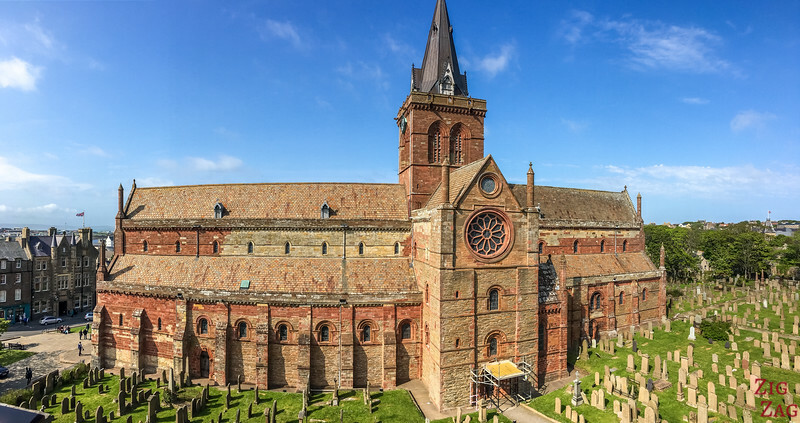 Located right next to the S﻿﻿t Magnus Cathedral Kirkwall, they are the center of the Orkney capital. 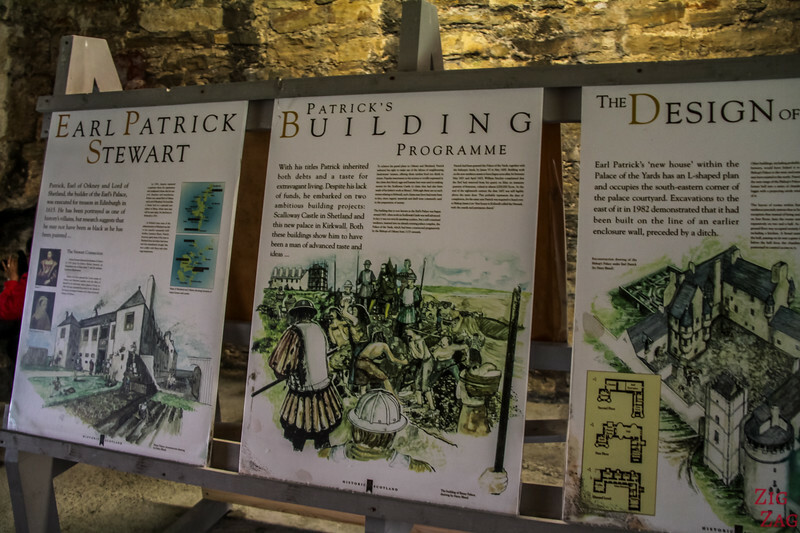 There is another Earl's palace on Mainland Orkney: The Earl's Palace Birsay. Do not mix them up! 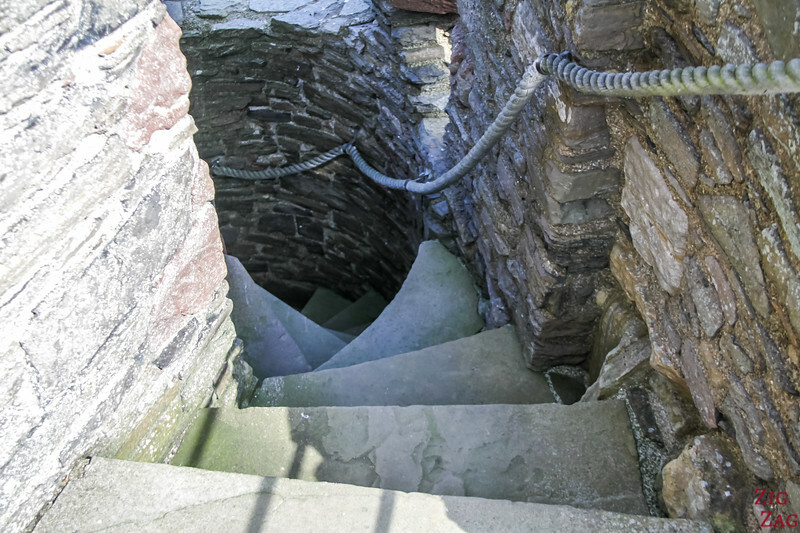 The other one is near the Brough of Birsay and is far less impressive. 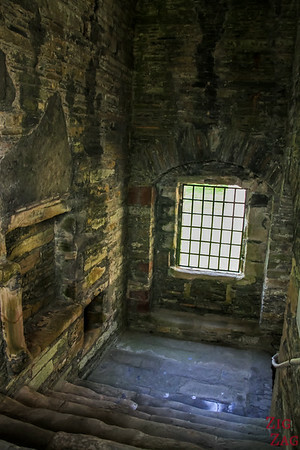 Small staircases in the Bishop palace especially to reach the view from the tower. 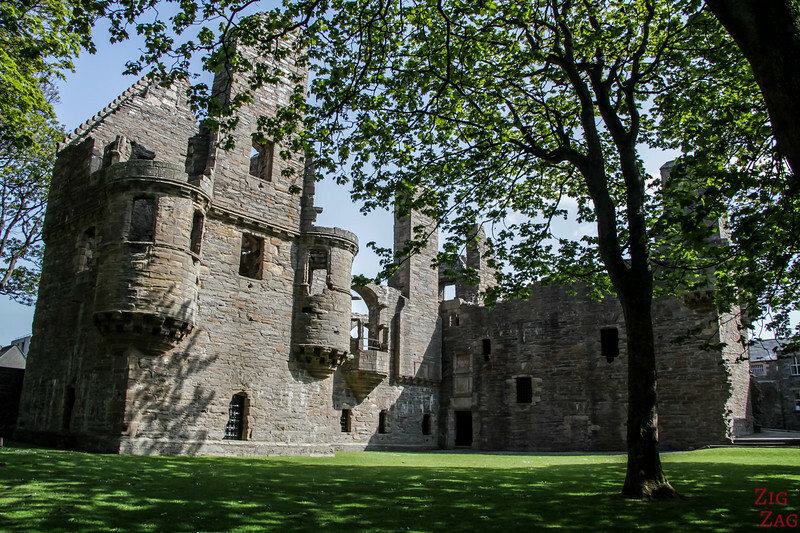 The Earl's Palace was built around 1601 to 1606 by Patrick Stewart, earl of Orkney. 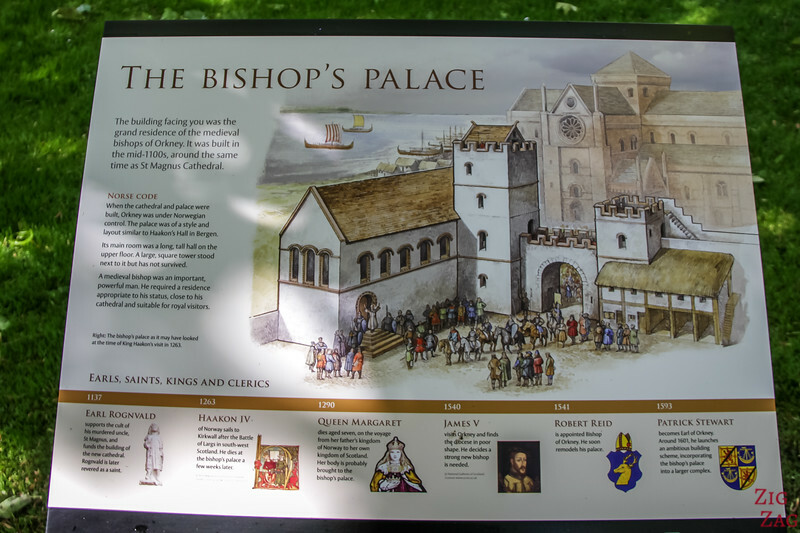 He wanted a new complex incorporating the older Bishop Palace (but it never happened). He wanted to impress. 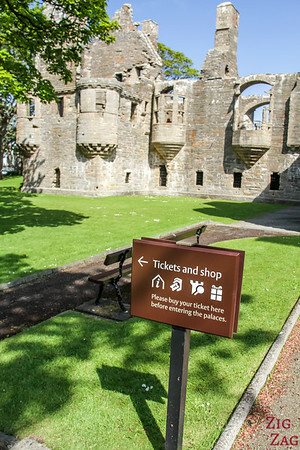 There are 2 main sections to explore in the Earl's palace Kirkwall. 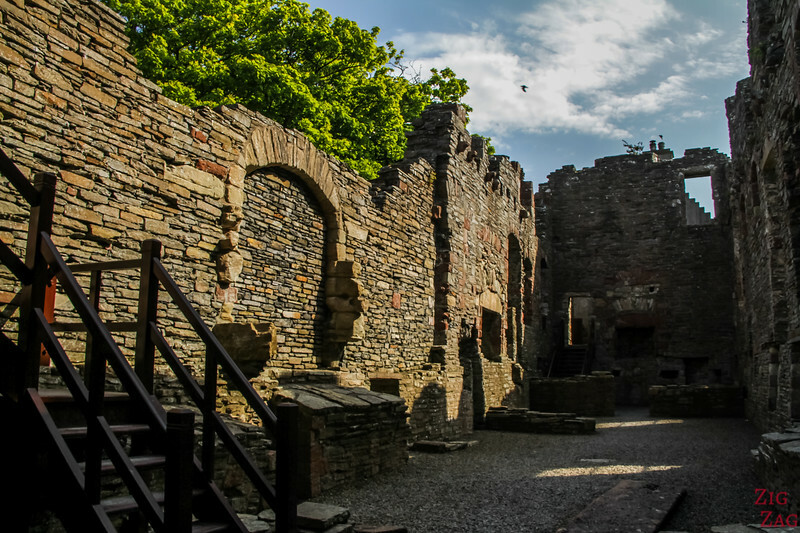 First you use the large Staircase to discover the impressive Great Hall and its 5 meter wide fireplace. 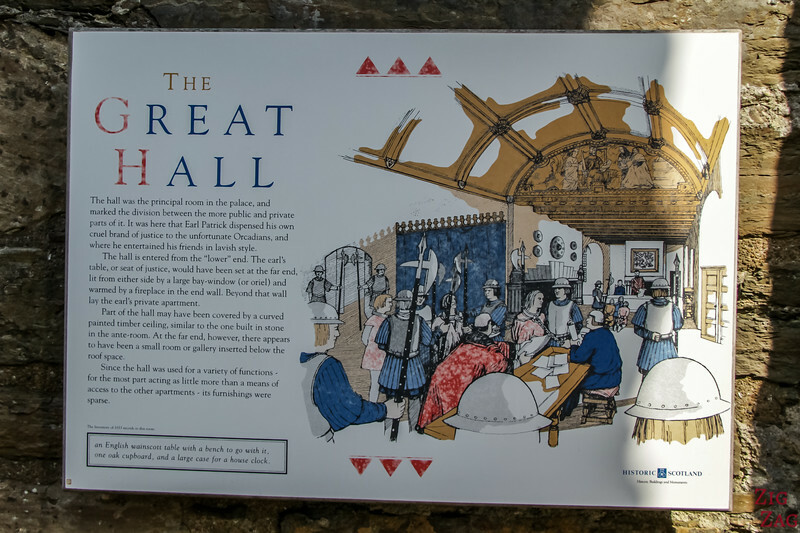 It is said that the Great Hall used to be one of the finest rooms in any castle in Scotland due to its length of 16 meter, vaulted windows and fireplaces. 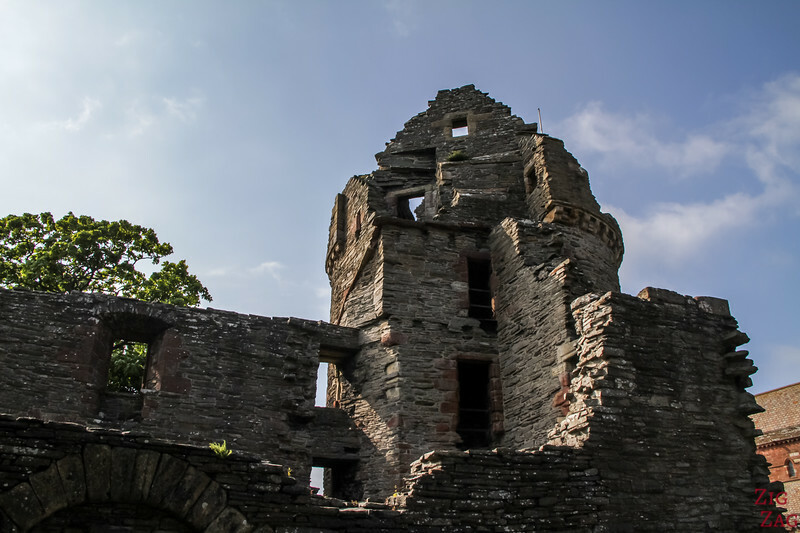 It used to be heavily decorated. 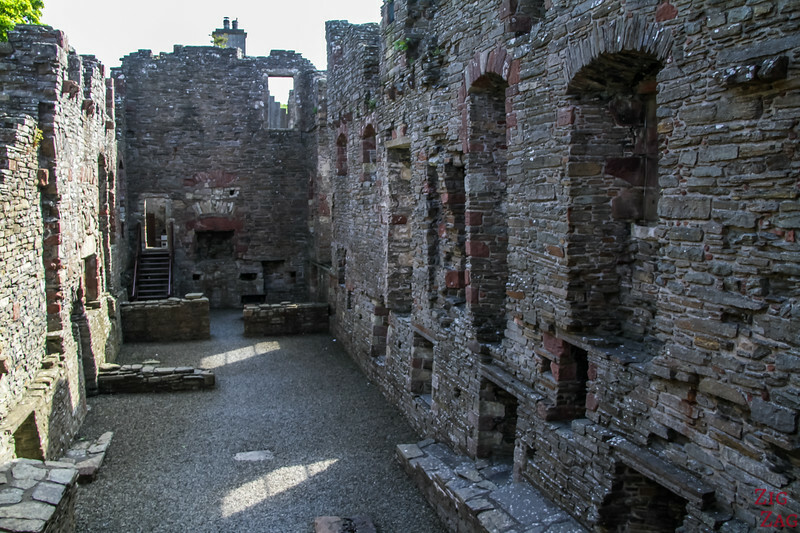 But my favorite part was the ground floor. 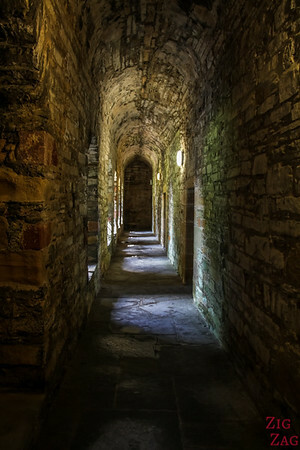 I loved the long corridor with the old stones and series of small rooms. There is a special atmosphere in this section. 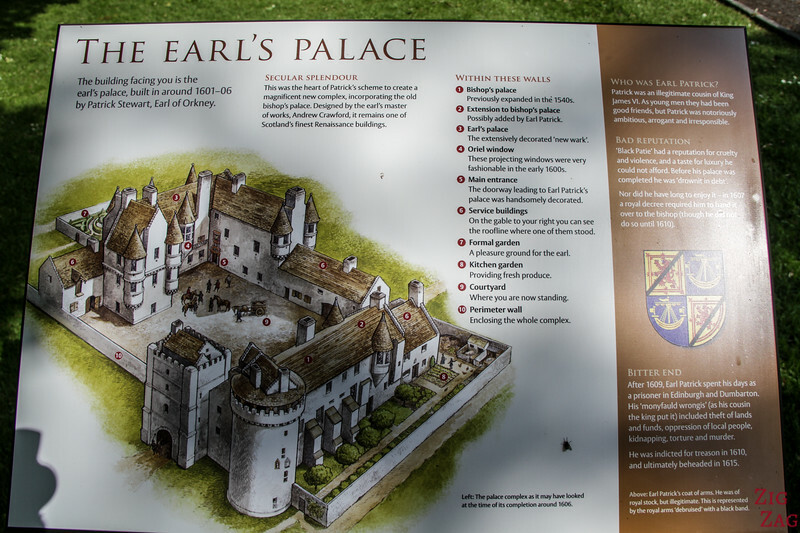 In the last one they have set up historical displays with explanation about the Earls and the history of the Palace. 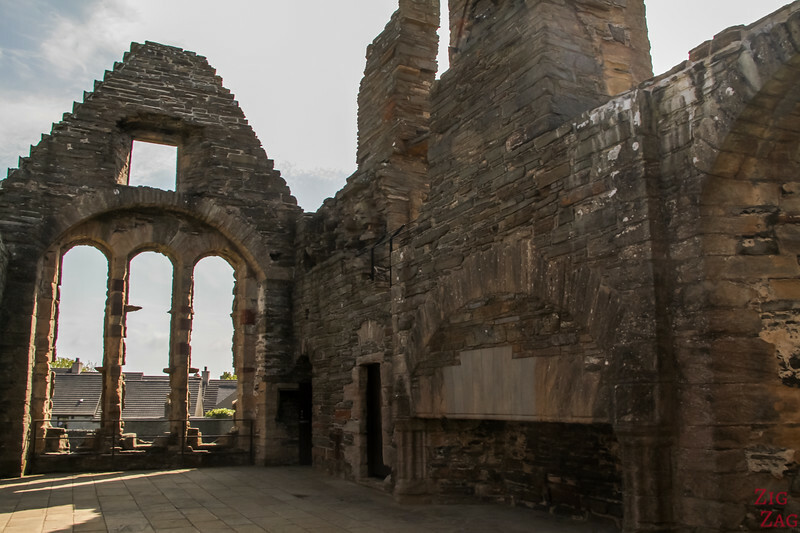 Then you can cross the street to visit the Bishop's Palace Kirkwall. 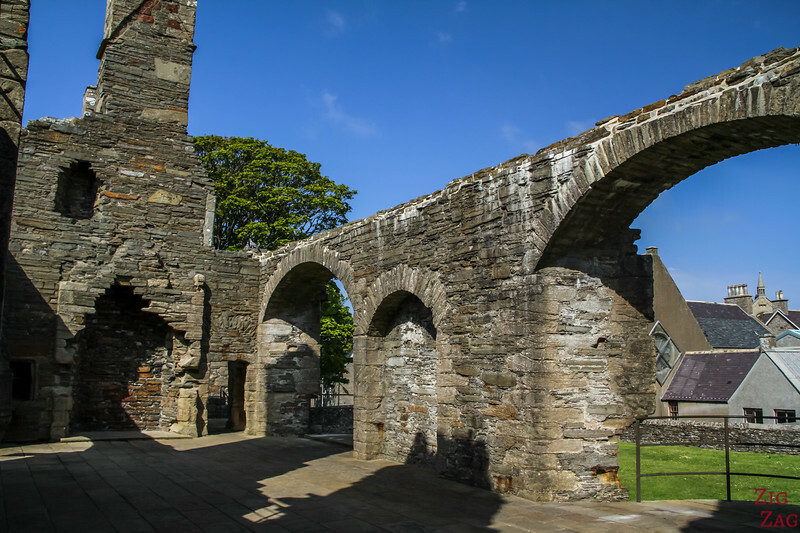 It was built around the same time as the St Magnus Cathedral, at the beginning of the 12th century. 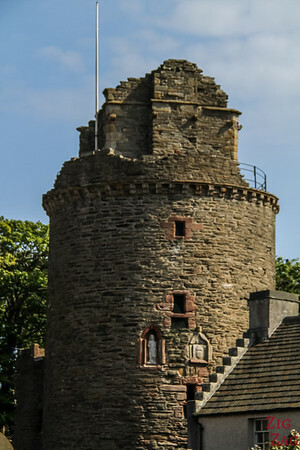 What remains today is the 2-story hall house (although inside only the ground floor remain) and the tower. 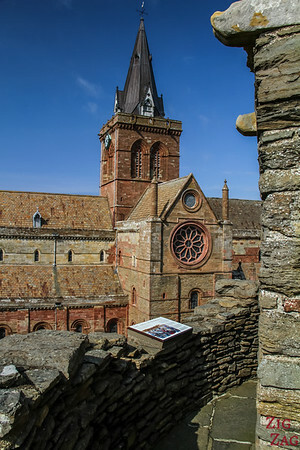 The most interesting part of the Bishop Palace Kirkwall is that you can access the top of the Tower from which you have a nice view of the town of Kirkwall and the St Magnus Cathedral. Definitively the best part of this visit.